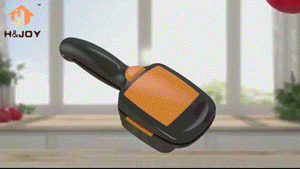 Easy to clean, safe to wash.
Works up to 10 times faster than using your old knives. Combines five interchangeable slicing options into one handheld slicer,the quick-lock function for safe, compact storage. Material: Extra-sharp and reinforced stainless steel blades in G-NOX quality . 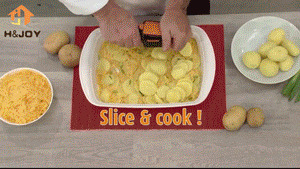 Funny thing, But raw potatoes not одолела entirely, only the thick слайсы cut. Recommend! Think варёное everything will go with a bang.